Since 1946 Lew Broyles and Son has service the Cheyenne area in automotive repair. Some of the services we provide include, Automotive Computers-Starters-Brakes-Alternators-Carburetors-Tune-Ups-Electrical Work-Domestic Fuel Injections-Clutches-Engines-A/C and Heating. Give us a call today for your automotive needs. 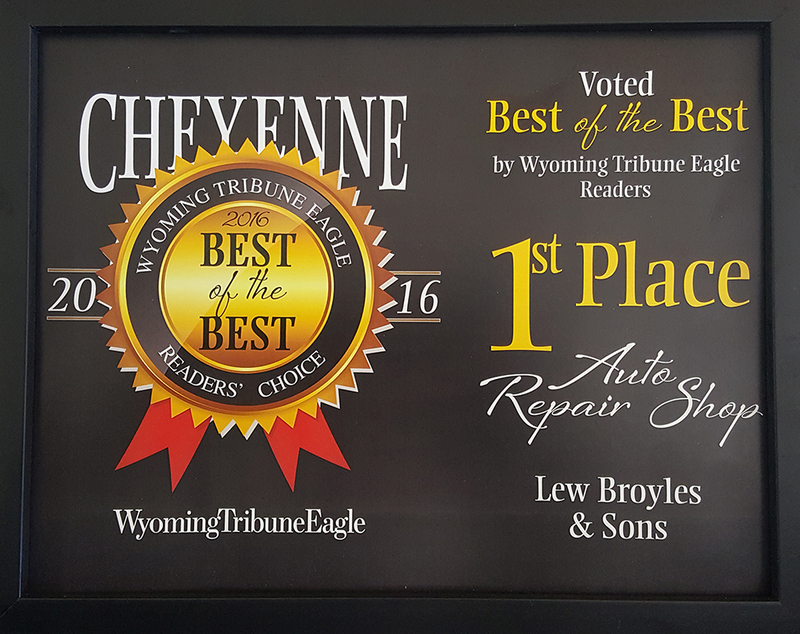 For all of your automotive needs, depend on Lew Broyles & Son in Cheyenne, WY to keep you on the road.